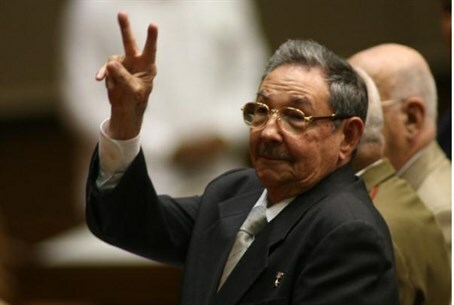 Cuba's communist President, Raul Castro, said Sunday he was so impressed by his audience with Pope Francis in the Vatican that he might return to the Catholic faith he was born into. The BBC reported that Castro praised the pontiff's wisdom, adding: "I will resume praying and turn to the Church again if the Pope continues in this vein." Possibly in case some thought he was joking, he then added: "I mean what I say." After the 50-minute private audience on Sunday, Castro told reporters: "The pontiff is a Jesuit, and I, in some way, am too. I studied at Jesuit schools." Castro had stopped at the Vatican after attending Russia's World War Two Victory Day in Moscow. Both Castro and his brother, revolutionary leader Fidel Castro, were baptized as Roman Catholics, but most Church activities in Cuba were suppressed after the 1953-59 communist revolution. The Pope will visit Cuba on his way to the US in September. He will be the third pope to travel to Cuba, following visits there by John Paul II in 1998 and Benedict XVI in 2012.